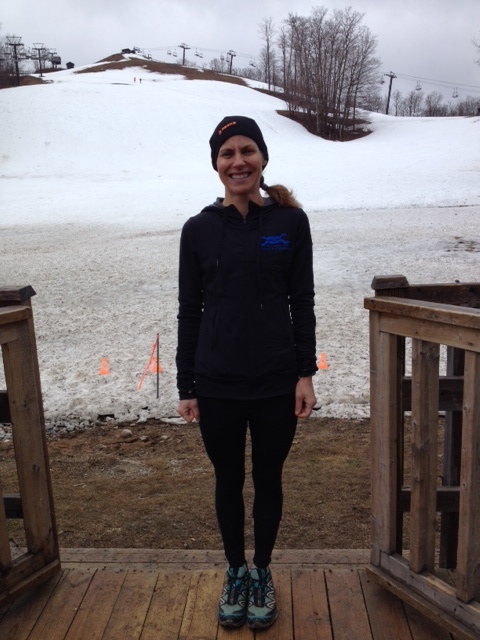 What a fun way to kick of the trail running season! 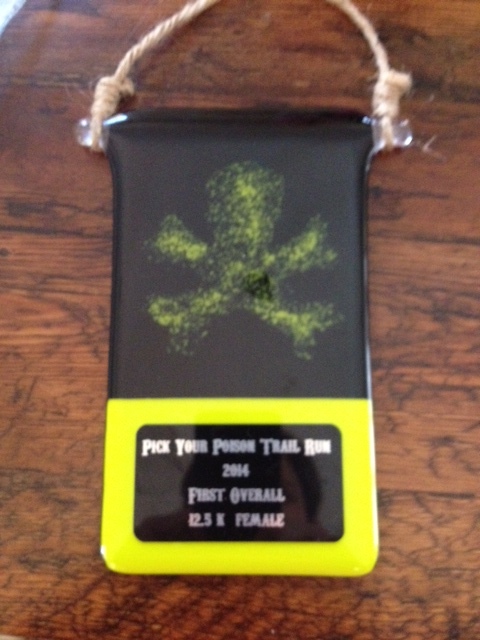 The Pick Your Poison race last Sunday (April 26) was just as great as last year, if not better. I knew that there would be some amount of snow on the course, but I wasn’t expecting THAT much snow! This just made the race that much more F-U-N. Adding to the fun was the deep mud along the course. So for most of the race, one had to choose between running on the snow versus running along the edges in the deep mud. Either choice made it challenging to stay upright at times, kept me laughing and definitely put my Solomon trail shoes to good use! I even had the strong urge to pick up snow and start a snowball fight! As written in my last post “The Mind Leads the Body”, I have been dealing with a nagging hamstring issue (which I have labeled “Harry”) since March. Although Harry and I are about ready to part ways (halleluiah! ), I knew that it was best that I exercise some degree of caution with this race – so I downsized my race distance from the 25k to the 12.5k and made a promise to myself to run the race a bit more conservatively. My motto for the race became “this is bliss” to remind myself to hold back and to enjoy every minute of it. And I certainly did! After being cooped up all winter with limited opportunities to get out on the trails, it was such a high to be surrounded by nature again, away from the busy streets and cars and in the company of other like-minded souls. One of the advantages of running a race where the majority of the people are racing the longer distances (25 &50k) is that runners are forced to go at an easier or conversational pace. So unlike most of the other races that I have done, I was able to chat with others for most of its duration. Not surprisingly, the race went by really quick (at least for me, but I can’t speak for those running the longer distance!). As I look forward to the next couple of months ahead, I can’t help but get excited! There are some really exciting and fun events coming up, including the 2 day trail running camp that I am organizing on June 7/8th (only 1 or 2 spots left! ), some 5 Peaks races, the Squamish 23k trail race on August 17th, Chase the Coyotes on September 27th, and simply spending lots of time exploring the local trails. What are you doing this trail running season?